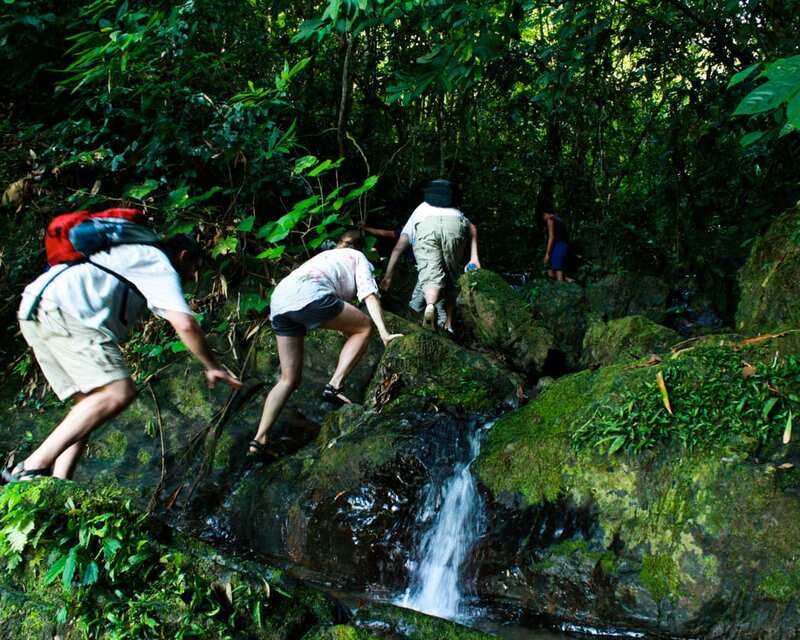 Thailand is closely bound with nature, and nowhere is this relationship closer than in the rainforests of the south. In the Khao Sok jungle village, life revolves around the monsoon, which effect many parts of daily life. Therefore, before you book your ticket, it is recommended to do a bit of research. 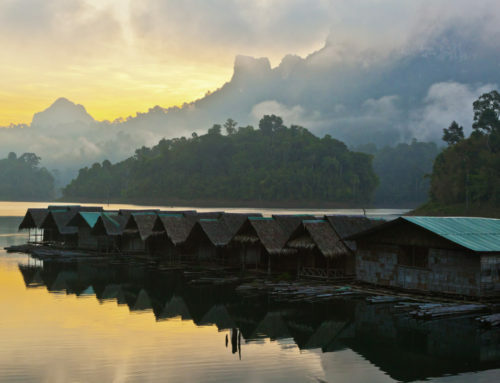 Understanding Khao Sok weather can be challenging, but we’re here to help! However, as life here is so closely related to the monsoon, we’ve broken the year into only two, distinct seasons. Below, you will find information on the Monsoon season, and the non-Monsoon season! 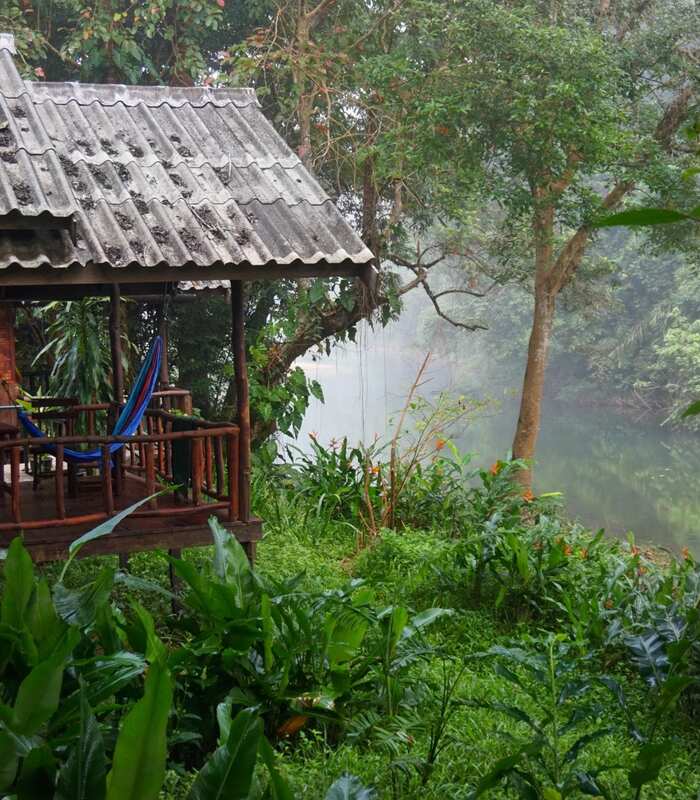 Monsoon season in the Khao Sok jungle village begins properly in June. The rains reach a peak in August/September, and fade out slowly from November to December. 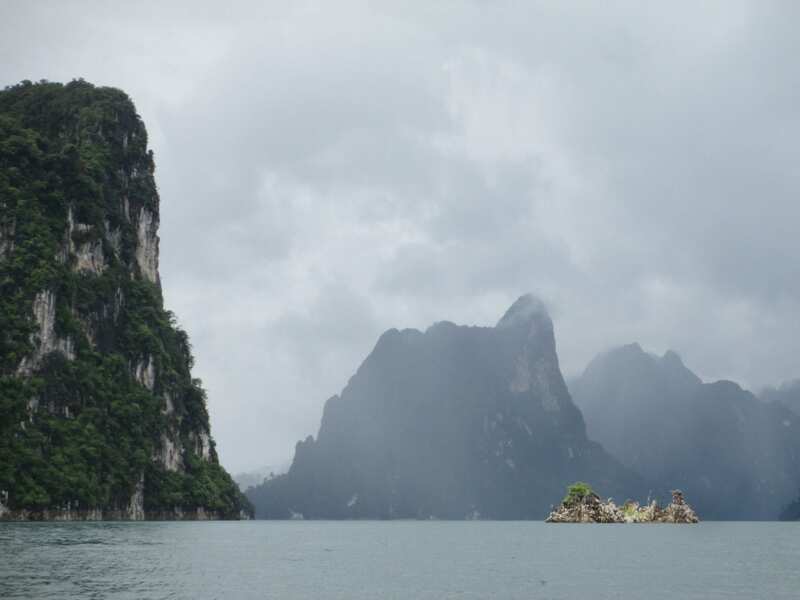 During this time, visitors to Khao Sok can expect at least one heavy rainfall every day. This is usually followed by beautiful blue skies and sunshine! In some extreme cases, rain may fall nonstop for several days. This can be inconvenient, but doesn’t have to be cause for a bad experience. There are still plenty of activities that can be done in the rain! While this Khao Sok weather can sound off-putting, the monsoon season does have its charms! For example, activities on the Sok River are the most sensational during this period. River canoeing is more exciting than any other time of year, and tubing is a true adventure! Also, the monsoon doesn’t affect cultural activities, such as our jungle cooking or elephant retirement. 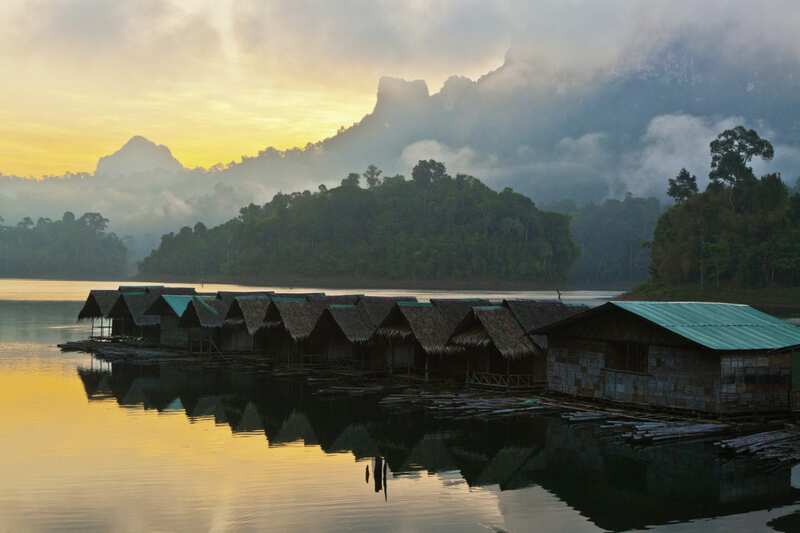 Additionally, monsoon season is Khao Sok’s ‘green season’, when the jungle is at its most verdant. Flowers are in bloom, everything is happy and green, and the forest exudes health and vibrancy. This is the type of Khao Sok weather that triggers mating rituals among many different animals, especially frogs! 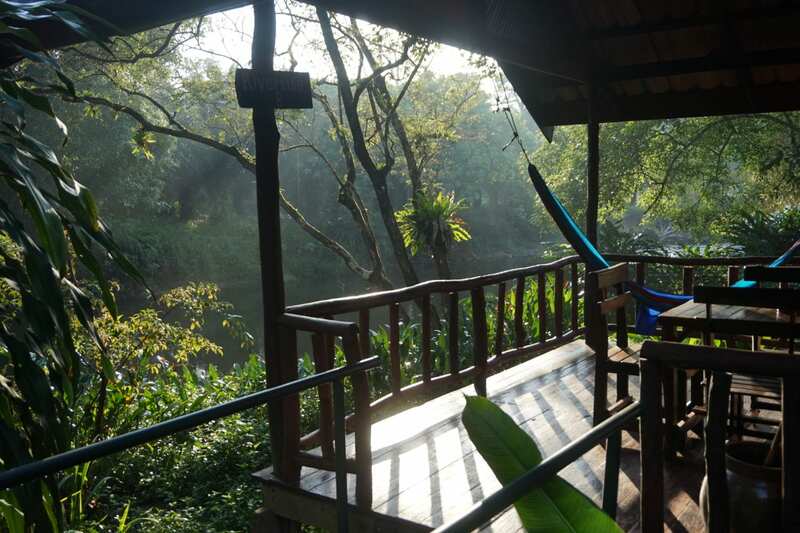 Guests will be treated to a nightly serenade of amorous frogs along the river bank and in the forest. Finally, monsoon season in the Khao Sok jungle village signals the arrival of many of Thailand’s famed fruits! Seasonal fruits, such as Durian, Mangosteen, Longan and Dragon Fruit are only available during this time of year. This alone is a good reason to visit during monsoon season. There is nothing like sitting on a balcony in the jungle, eating kilograms of amazing fruit, and watching the rain! Of course, this Khao Sok national park weather does have its downsides, most notably in how it affects some types of tours. 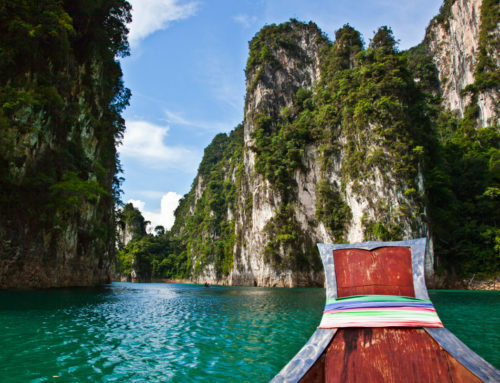 For example, guests planning to visit Khao Sok should be aware that there is no jungle camping during monsoon season. Additionally, trips to Cheow Larn lake are often affected by this type of Khao Sok weather. The famous NamTaLoo cave at the lake is off limits during the monsoon, and the viewpoint hike is similarly inaccessible. Finally, monsoon season is not a good time to view wildlife. As a result of the rains, most large mammals are able to find food and water easily in the deep jungle. Therefore, they do not venture into areas where we can observe them. 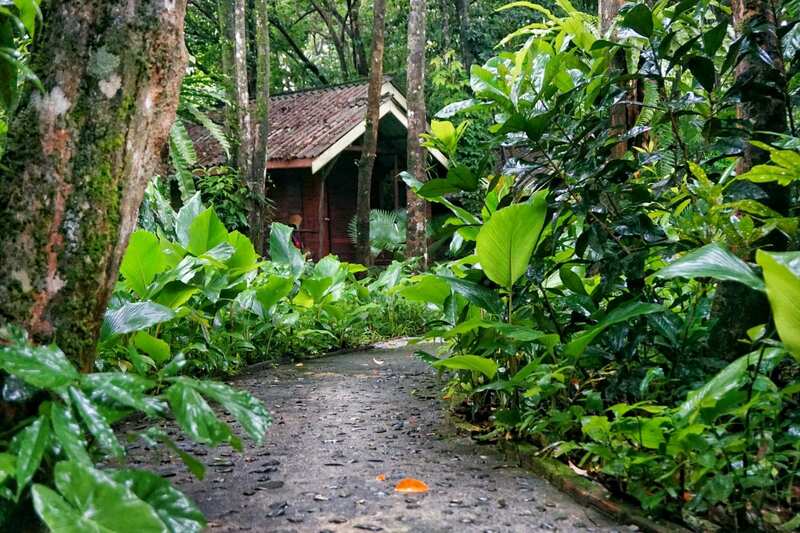 In contrast to other Khao Sok resorts, monsoon season at the Riverside Cottages is truly magical. Guests are able to experience the rains in a beautiful natural setting, which enhances the sights, sounds and smells of the season! The sounds of rain on the leaves high overhead, and the delicate scent of blooming flowers on the air add a rare beauty to the forest. Similarly, guests can appreciate the raw power of the monsoon floods from the safety and comfort of our Riverside restaurant! 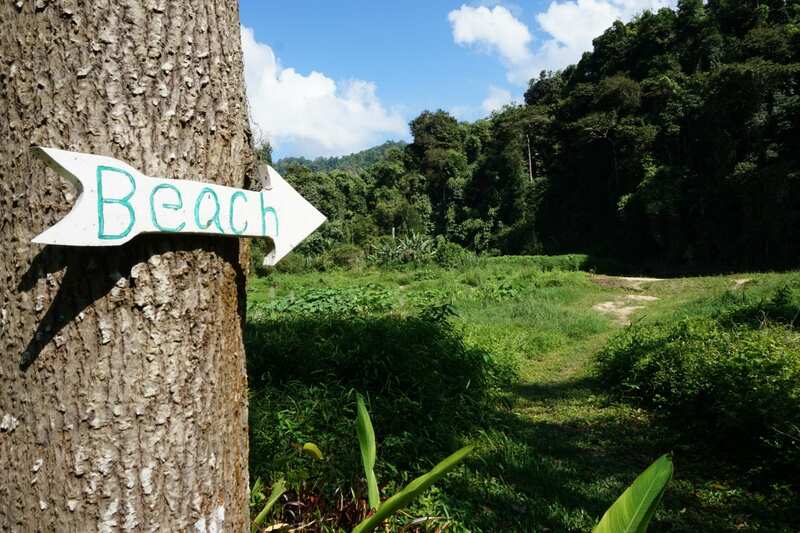 Dry season in the Khao Sok jungle village begins properly in January, although lighter rains are still possible. By mid-April, the forest is dry and brown, and the river is sluggish and shallow. This is the hottest time of year, when breezes are scarce, and only shade and the river provide natural cooling. Similar to monsoon season, this Khao Sok weather can sound intimidating, but it definitely has benefits! 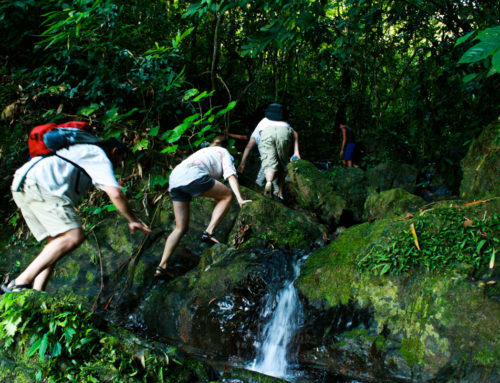 For example, this is the time of year to organise the deep-jungle camping trip of a lifetime! 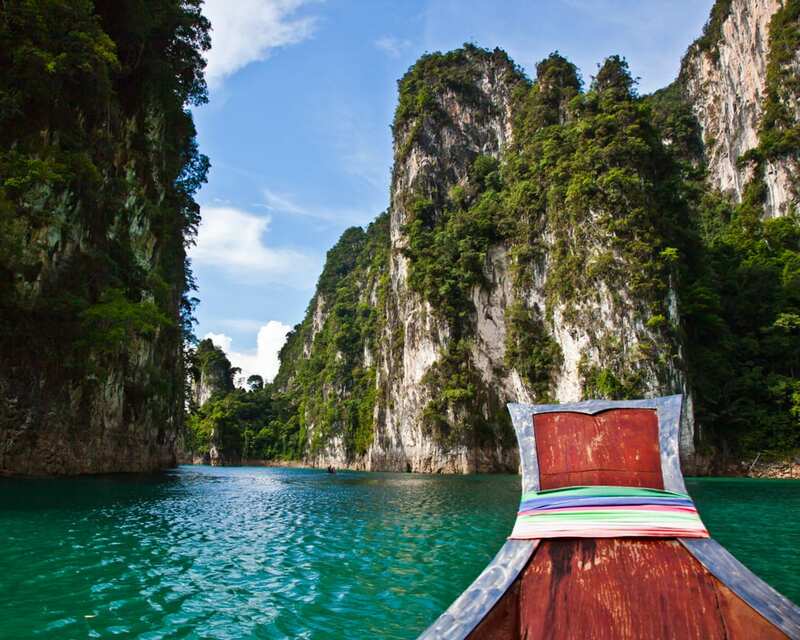 Additionally, Khao Sok lake is at its best during the dry season, with dazzling scenery, and many options for trekking. 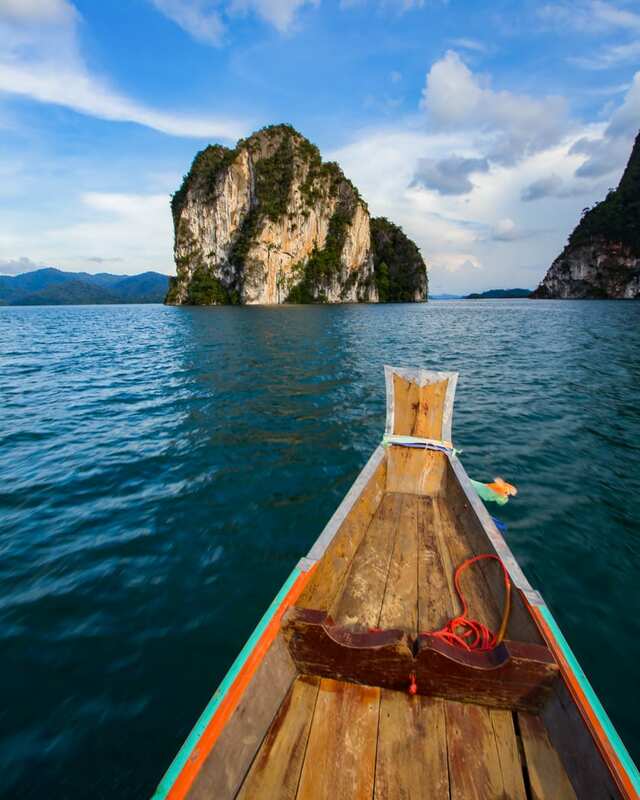 You can find more information on our Khao Sok Lake tour packages here! Finally, the lack of food and water in the forest means that wildlife needs to come closer to our Khao Sok jungle village. 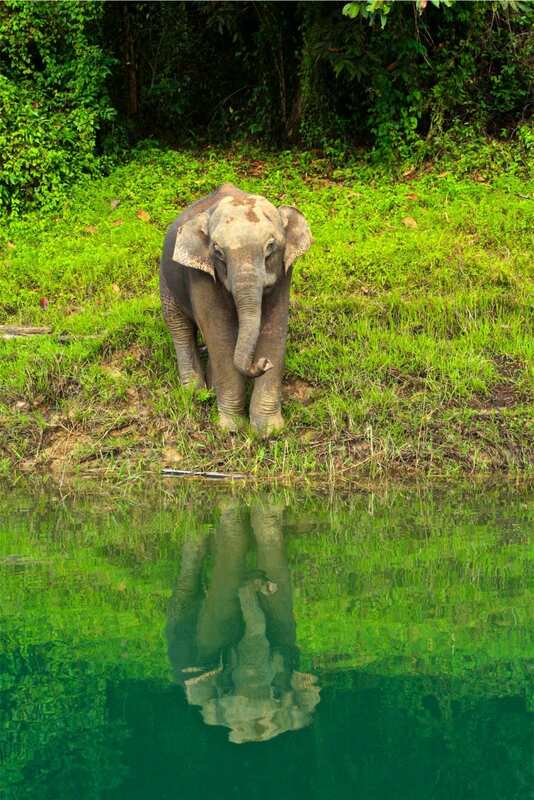 As a result, the dry season is the best time of year to view wild Elephants and Gaur, and other large mammals. Unlike monsoon season, the dry season will not heavily impact activities. The main exception is River Tubing, which isn’t very much fun on a slow-flowing river. 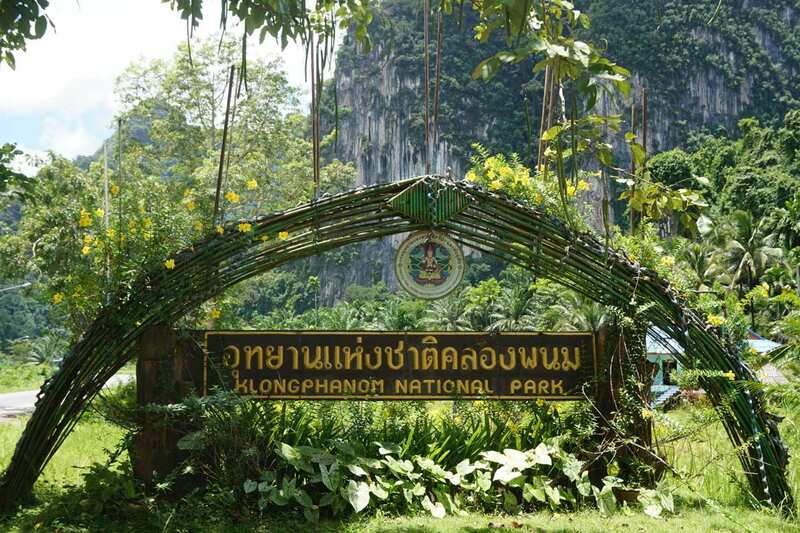 However, guests will need to prepare themselves for the heat of this Khao Sok national park weather. The most useful preparation guests can make is to simply mentally prepare for being hot and sweaty. And of course, be sure to drink plenty of water! 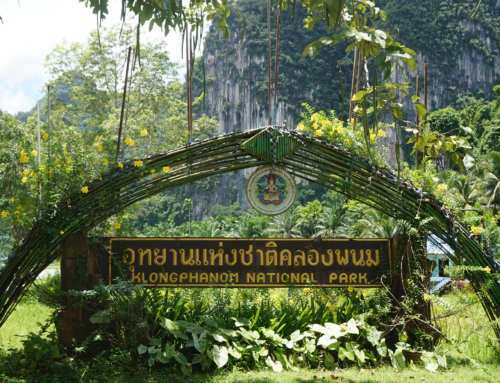 The best place to enjoy the hot and dry Khao Sok weather of the season is in the forest. Under a dense canopy of leaves, bungalows stay cool in the shade. Sunlight that reaches the forest floor is absorbed by soil, rather than reflected by concrete or asphalt. Finally, our spacious grounds mean that cabins are not crowded together. This affords peace and tranquility to guests, and provides space for cooling breezes to flow freely. All of this translates to a cooler, more comfortable place to spend those hot days! It is worth pointing out that both Thai and Chinese New year depend on the lunar calendar for the exact starting dates. Therefore, the date on the western calendar will change from year to year. For more information on these festivals, we recommend TimeandDate.com. 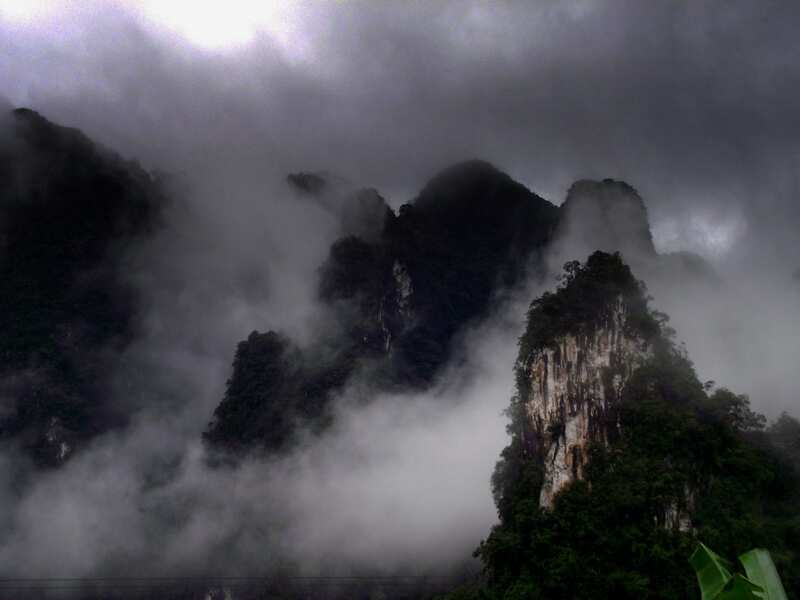 We hope that this blog will serve as a useful introduction to Khao Sok national park weather! For further questions, be feel free to send us an email! 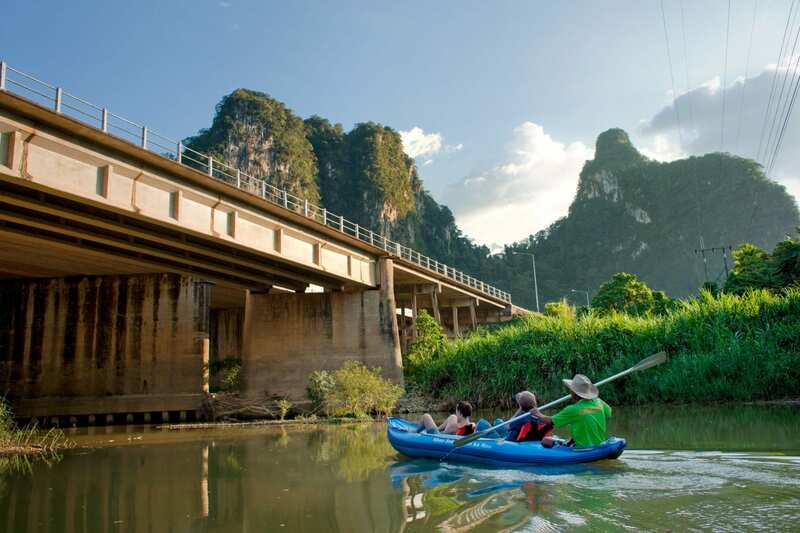 Visit our popular blog ‘Top 6 Activities in Khao Sok National Park‘ for information on our favourite Khao Sok adventures!